The papers collected in Crossing Borders focus on works written by Howard O’Hagan, Sheila Watson, Margaret Laurence, Jane Urquhart, Alice Murro, Aritha van Herk, Antonio D’Alfonso, Margaret Awood, Olive Senior and by many contemporary metropolitan ethnic writers. They explore the cultural wealth of a national entity built on a multiplicity of voices, habits and memories and address topics such as: liminality and in-between-ness, the porosity and instability of literary borders, the perception of trespassing of borders, the various connotations of the theme concerning the crossing of geographical, historical, linguistic, symbolic, metaphorical, psychological and identity borders between gods and human beings. This sense of permeability, of the precariousness of borders, of adaptation to new circumstances creates the peculiarity of a literature where the past is still here, lurking under the surface of the cultural soil, while the writer has to cope with the confusing explosion of new events. The lack of a ‘classic’ tradition, unless it derives from an experience lived in another historical time, in another country, questions the roots of national identity, and makes the writers explored in the following pages of this collection trespassers of narrative borders in a world linguistically and generically impervious and garbled. 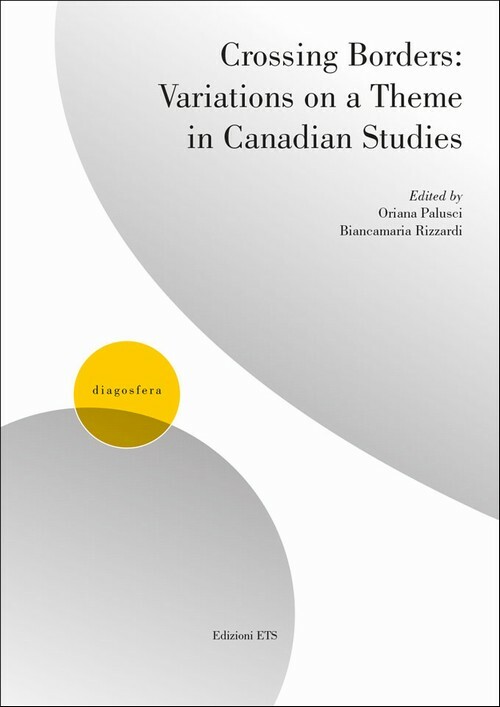 The volume contains essays by: Andrea Binelli, Mirko Casagranda, Manuela Coppola, Eleonora Federici, Sabrina Francesconi, Coral Ann Howells, Barbara Nugnes, Oriana Palusci, Joseph Pivato, Biancamaria Rizzardi, Deborah Saidero, Viktoria Tchernichova.